Brian K. Oleksy, D.D.S., M.D. Brian K. Oleksy, D.D.S., M.D. is a native of Carlsbad, California. He completed his undergraduate and dental education at U.C.L.A. and then earned his medical degree from the University of Texas Southwestern Medical School. After completing an internship in General Surgery, he trained in full scope oral and maxillofacial surgery at Parkland Memorial Hospital and affiliated hospitals in Dallas. He has been in the private practice of oral and maxillofacial surgery in San Diego since 2007. 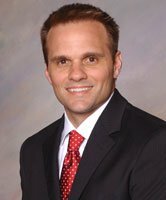 Dr. Brian K. Oleksy is a member of many professional organizations, and is a fellow of the American Association of Oral and Maxillofacial Surgeons.